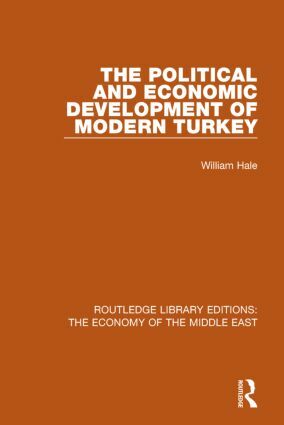 This book outlines the evolution of policy and the course of Turkey’s economic development since the foundation of Turkey’s republic in 1923. Turkey is a fast-developing country with, over the last seventy years, a radically transformed economic and social structure. The concept of planned development was first applied as long as fifty years ago, long before other such approaches in the region. Furthermore, Turkey’s post-war economic development has proceeded in a rare environment of a predominantly liberal, competitive political system. This book is the first comprehensive and up-to-date study of Turkish economic development and its relationship to political change.